The Kittiwake is an ex US Navy submarine resupply and rescue vessel. 251 ft long, with a 42 ft beam and draft of 15 ft. She was acquired from the US Government and very carefully prepared for her future life as a wreck. 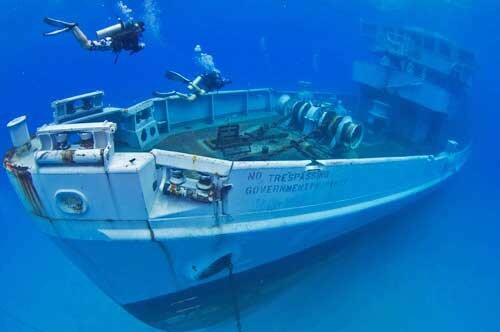 She was sunk in the waters off the West side of Grand Cayman in January 2011. Without a doubt she is now one of the premier wreck dives n the world. 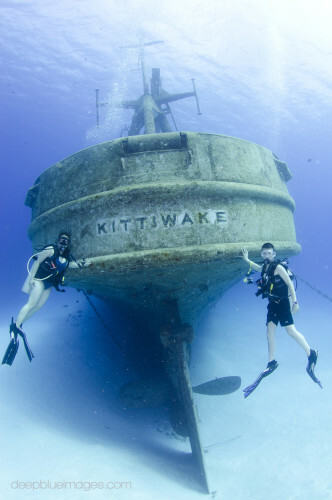 The Kittiwake is an incredible wreck dive, made suitable for all levels of certified diver. Dive with one of our knowledgeable guides to get the most out of this shipwreck! She is a very solid steel hull/steel superstructure that had 18 bulkheads and a single screw propeller made of solid brass that is still attached. The Ex-USS Kittiwake had a complement of 10 Officers and 98 enlisted service personnel when she was on active duty. Her armament was removed before export from the USA. There are 5 decks on the 47 foot tall Kittiwake. Externally, the crow’s nest, mast and large stern a-frame have been cut down and remounted to make her height suitable for Cayman waters. The upper decks accommodate the 2 bridges (both an external and internal bridge to allow operations in heavy seas) along with the radio and navigation room. 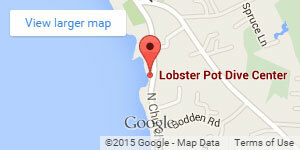 The sonar has been removed. 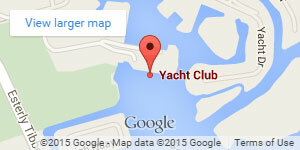 The Captain and XO’s quarters are also located on the upper decks. On the main deck, from bow to stern, internally you will find the rec room, mess hall, ironing room, small tool workshop and recompression chambers. You will note the large a-frame structure on the stern that supported submarines and hard hat divers. There is also a diving bell where divers would enter to return to the ship from the ocean and then be placed in the chambers for decompression.